There is a stirring in my heart, an awakening. Before we moved to Tucson almost ten years ago, prayer sustained me, filled my heart, and provided direction even in our big move. Maybe because my kids were little and napped, time alone each afternoon provided me the opportunity to reflect, ponder, and worship. 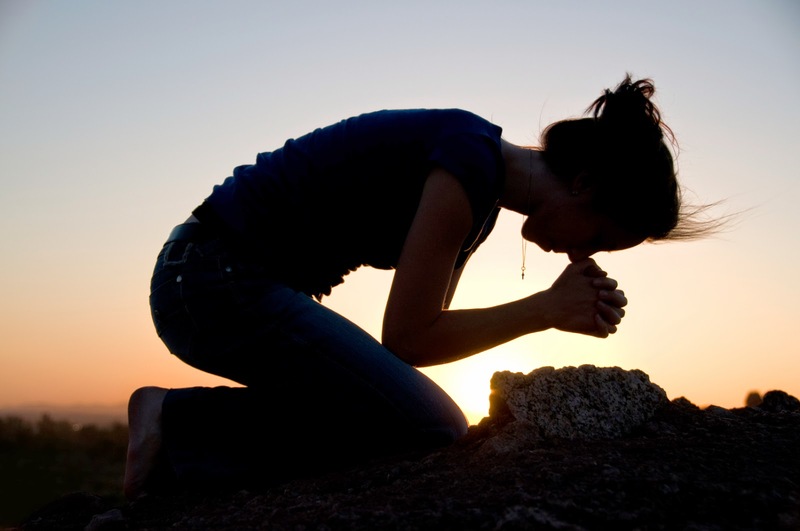 Throughout the last ten years prayer definitely has not ceased, but it certainly has changed. Thankfully, through God's grace of maturing me, my relationship has become just that... more of a relationship. Talking to Jesus is part of my everyday life. It comes through set aside time, but also during the ebbs and flow of each day. But over the last few months, my heart has been moving towards more time, more depth, more intentionality. In September I felt like a sleepy bear coming out of a year long hibernation. Sabbatical gave me the time I needed for healing, physically, emotionally, and spiritually. As I imagine a giant black bear straggling out of the cave, stiff and hungry, I, too, felt ready to come out, but stiff and hungry for more. December gave the opportunity to focus on Advent. More than ever before, the thought of Emmanuel, God With Us, moved me to beg and plead for God to make his presence known in my life, in my church, and in my city. The desire refreshed my soul. Second Mile's week of prayer and fasting challenged me deep in my belief. The verse about Jesus not doing mighty works among them because of their unbelief haunts me still. As a church we prayed for big things, but we must believe! He wants to draw people to himself. He wants to build his church. He wants us to grow in dependence on him. Is it too much to ask him to redeem ten people this year? I think it is too small of a request, but my belief starts to tremble with doubt. God, help my unbelief! If I want him to redeem people, how much more does God want to draw people to himself? So much more. The If Gathering reminded me of one of my life long truths: To Run My Race! I think maybe I had slowed to a meandering walk. "Prayer precedes growth of any kind." "Does my prayer life reflect that I believe God is smarter and produces better, long lasting results than me? How much do I pray?" "Your prayer life should shout, I BELIEVE!" "Do you want to revitalize your church? Revitalize your prayer life." Honestly, none of these statements were earth shattering in the sense that they were new concepts, but each of them were convicting to my heart. Do I believe them in the sense that they puff up my head with knowledge? Or, do I experientially live out the belief that prayer is vital. I'm thankful to be part of a church that values prayer. I can say that we pray often, but I can't imagine ever saying that we pray enough. Friends, let me invite you into continued prayer for our city, for our church, for our friends, for our families, for the nations...the list continues. Get out your prayer guide and go through it again. If you aren't part of Second Mile, use the linked prayer guide for your own church, or better yet, write one for your church and share it with others. Read a new book about prayer, or re-read your favorite book. Gather some friends to pray once a month, or once a week, or once a day. Would you consider making fasting once a week part of your routine? Let's use not eating for one day as a reminder that we long for him more than we long for food, that we are already redeemed, but not yet home, that we need him to increase our belief. In an effort to help each other, think about what you can do and then tell someone for accountability. Will some of you join me in fasting one day a week for God to draw our friends to himself? Will some of you community group leaders plan a prayer gathering for your group? If you need ideas, please ask me. I would love to help. Are there some of you who would come to church on Sunday afternoon early to pray? Let's amp up our prayers. The first thing I want you to do is pray. Pray every way you know how, for everyone you know. Do you need an idea on books about prayer or belief? Share in the comments if you have additional suggestions. My heart is stirring, awakening. Let it never be said about us that our unbelief kept Jesus from doing mighty works among us. May it be true of our lives that the way we prayer is the first thing we do, in every way we know how, for everyone we know. What do you want to add? How does your life reflect the way you pray? What challenges do you face in praying? What are one or two ways you can challenge yourself in maturing the way you pray?